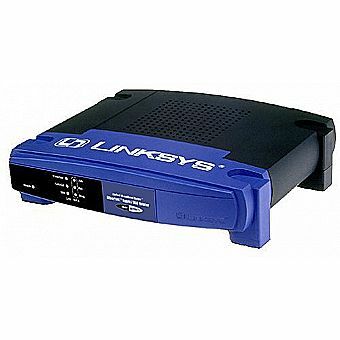 The Linksys BEFSR11 EtherFast cable/DSL router connects multiple PCs to a high-speed broadband Internet connection or to an Ethernet backbone. Configurable as a DHCP server, the EtherFast cable/DSL router acts as the only externally recognized Internet device on your local area network (LAN). It also functions as a firewall to shield your network from unauthorized users by monitoring all incoming data packets. The router can also be configured to filter internal users' access to the Internet. This product comes with a limited one-year warranty. Note: All Linksys routers now include a special edition of Norton Internet Security! Claim your free CD-ROM by calling (800) 814-0180, 7 a.m. to 7 p.m. Pacific, seven days a week.